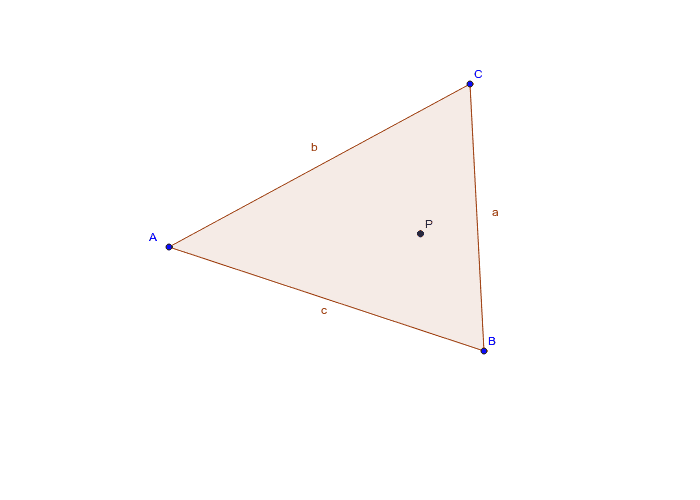 There is a triangle with the vertices A, B and C. Point P ist one of the remarkable points of a triangle. Task Move points A, B or C to find out which point P is? Which remarkable point is point P?